Marketing for small law firms can be an arduous task as you simply may not have enough budget and resources in hand. Ostentatious advertising and prime-time radio ads are out of the equation because of serious budget issues. However, realizing the fact that you do not need expensive advertising for your firm to get noticed can do wonders for your business. With some diligence and inventiveness, you can emulate some of the branding elements of larger firms and use them for your benefit. Isolating the ‘Unique Selling Proposition’ should be the first priority when you are starting with marketing for small law firms. For small firms, this calls for inspecting your products and clients you want to target. If your focus is on high-end clients, then maybe you should not get yourself involved with closing work for residential real estate affairs. Instead, your emphasis must be on offering products such as real estate trusts, sale-leaseback transactions, and charitable trusts. The USP that is defined for your firm will set you apart from the competition and will assist you to connect with the clients at a personal level. Setting the right USP for your clients requires you to view your product offerings from the client’s perspective. The value your products offer to the clients and how it helps in getting them out of a certain situation should be the core of your USP. Marketing for small law firms needs you to keep your clients as a reference and make informed decisions. It will not cost you anything and can lay a sturdy foundation for your other branding aspects. Social media is a remarkable tool for low-budget businesses to market themselves right in front of the audience. 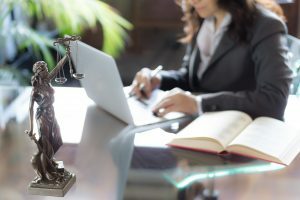 It lets you connect with clients at a personal level, which is great for a law firm. Apart from advertising on these platforms, you must invest in building up an imposing page on all major social media platforms like Facebook, Instagram, and LinkedIn. It will serve as a medium for you to voice your opinion as well as inform customers about your products and offerings. Social media marketing for small law firms is also an inexpensive alternative to other advertising options. At a small expense, you are able to attract a huge audience which is a profound observer as they have access to a multitude of information. You will have to create a substantial presence that is relevant and is explicit to the needs of your target audience. The number of users on social media platforms has reached billions and is increasing every day. The potential is unlimited and your growth depends on your ability to grasp the extent of it. Every big firm has a solid marketing plan and there is no reason for you not to have one. There is no point in offering great products at an enticing price if there is no one to know about it. So, without a budget, how are you going to do marketing for your small law firm? You will have to invest your time in creating a solid online and physical presence. Many CSS platforms, like WordPress, allow to create and manage your own website and you only have to pay a minimal amount for hosting. You will have an online presence at a relatively low cost. Blogs are quite popular and easily manageable on these user-friendly platforms. Inform your audience about your experience as a lawyer and how you have worked on cases. You can generate quite an interest if you are able to run an intriguing blog. That’s what Dr. Watson did for Sherlock Holmes anyway. Being active in the community is one of the best ways to promote yourself as a brand. Face to face meetings remains the superlative form of communication. Involve yourself in Pro Bono legal cases and participate actively whenever you get a chance to advise or speak in public. Offering genuine advice to people will get you noticed and it will build a credible reputation for you individually. Spend some time to groom yourself as you are the most important asset of your law firm right now. Market research proves that trust is most fundamental in decision making. Your marketing strategy should focus on building trust among the firm and your clients. An average client does not care about your degree or where you studied, instead, the decision depends on their capacity to trust you. Building trust takes time and effort as it depends upon word of mouth. We are more likely to trust one of our family members or friends telling us about a trusted lawyer rather than reading it online. Be generous in your dealings and you will be able to build a trusted reputation in the market. As a small firm, you do not have a lot, other than yourself. Knowing your strengths and limitations will set you apart from the competition and will allow you to build a credible reputation. How can marketers ensure sustainability in their campaigns in a way that drives profitability?